There’s no BDS issue on my campus. 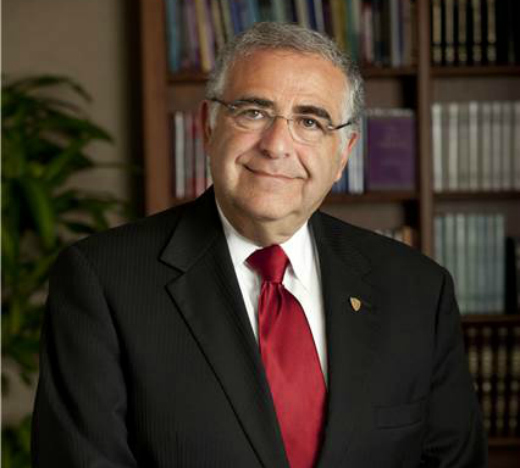 I serve as president of Yeshiva University, the largest Jewish university outside of Israel. Our undergraduates are top students, pursue an integrated educational experience of arts, science and business combined with serious Jewish learning, and have often spent a year studying in Israel. While they have differing political views on Israel, all are deeply and personally committed to the flourishing of Israel as a Jewish, democratic state within secure and recognized boundaries. Fifteen percent of our graduates move to Israel, while the rest are lifelong supporters. And all know that the premise of the boycott, divestment and sanctions movement is false. And yet my students are affected by BDS. While wanting to recognize diverse views, most Yeshiva students are troubled by what appears to be still another attempt to delegitimize the Jewish homeland and, by extension, the Jewish people. They view college as a place that honors thought and civility, and they feel isolated in campus communities where both appear absent. Indeed, my students feel anger when, time and again, protest in the name of BDS morphs into vehement anti-Zionism and, yes, ugly anti-Semitism. As an educator, I see a profound contradiction between the BDS movement and the mission of higher education. BDS paints in deceptively broad strokes an issue that is deeply complex. It condemns the entire nation of Israel and shuns all of its considerable human and material capital, including academics, regardless of political orientation, and technology, regardless of positive utility. The effects of this movement are far-reaching. Disturbing evidence shows that it has become a convenient excuse to delegitimize or malign Jewish identity on several college campuses. A recent report by the Simon Wiesenthal Center found that 54 percent of Jewish students have witnessed or experienced incidents of anti-Semitism during the past year. Jewish students have been the targets of anti-Semitic slurs, graffiti and hate speech by fellow students and, in some shocking incidents, by faculty members. Students have been deemed unsuitable for student government by their peers because their Jewish identity or their activity within the Jewish community might affect how they vote on divestment. While this is not the everyday experience of most Jewish students, and is not occurring on all campuses, this trend must be confronted. Our first job as educators is to ensure the safety and well-being of the students on our campuses. I believe in order to that, we need to restore the place of civility in our discourse. Civility has fallen out of favor in our society, to our detriment. Our current political climate does little to promote the value of respectful and issue-driven debate; personal attacks rather than dialogue are the norm. Free speech for all has to ensure safe speech for all. Society is all too plagued by ugliness and strife. But colleges and universities are not supposed to reflect society — they’re supposed to illumine the future. It is time that all of our colleges and universities think and act seriously about cultivating and promoting civility on our campuses. It will not tamp down the crucial exchange of ideas. It will make this exchange more dignified, more meaningful and even more productive. The recent approval by the University of California regents of a statement that calls anti-Semitism a form of intolerance that leaders of colleges and universities must challenge is a good first step — but it must not be the last. All colleges and universities must make clear that free, meaningful expression can only survive in an environment where there are appropriate rules of engagement. College and university leadership needs to demonstrate how to disagree agreeably, model nuance and help students dream about constructively building a future. We must provide boundaries of responsibility that will encourage students to pursue the value of values. Change will take time, but a light kindled shatters the darkness. Richard M. Joel is the president and Bravmann Family University Professor at Yeshiva University. This op-ed originally appeared in Inside Higher Ed.